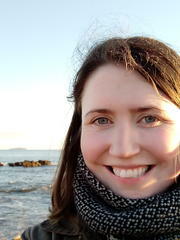 Frances Murray received her BA (Hons) in 2013 (University of Oxford), MLitt in 2014 (University of St Andrews) and PhD in 2018 (University of St Andrews). Her PhD thesis examined the representation of weeping rulers in the early middle ages, focusing particularly on the Carolingian empire in the eighth and ninth centuries. She has been employed on the “Cult of Saints in Late Antiquity” Research Project (ERC Advanced Grant) since November 2017. In this role, she concentrates on evidence for the cult of saints in literary evidence from Late Antique Italy and Gaul. More generally, she is interested in the history of the emotions, particularly with reference to the construction of gender and power, in the late antique and early medieval West.